Quality of life | I'm hard of hearing, so what? 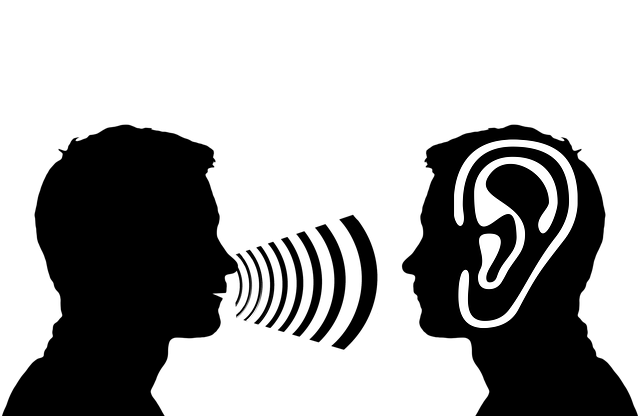 Quality of life – I'm hard of hearing, so what? As a hearing aid user, one comes to the inevitable purchase of a new hearing aid once in the 5/6/7 years. In addition to the new fitting, hearing tests, visits to the acoustician, this also means you have to have a full purse. Unfortunately, I have to address an issue here which is unpopular in Switzerland and which is not being talked about. But, I promise you, dear readers, that I will approach this topic very carefully, so please read on. Since 2011 there has been a flat-rate regulation for hearing aids in Switzerland. In short and simply put, you can buy the hearing aid you want and where you want, but you only get a lump sum (see http://www.bsv.admin.ch/aktuell/medien/00120/index.html?lang=en&msg-id=39314). This regulation was created because authorities wanted to create a certain amount of competition between acousticians and hearing aid manufacturers in order to reduce the price of hearing aids. Now, six years later, we still don’t know whether it worked or not. Extensive investigations in this area are not available. The claims of the acousticians, the health insurance company and so on, that there are cost-covering hearing aids for all may be true, but unfortunately in practice it is only true for very few hearing aid users! Sure, I could buy me a cost-covering hearing aid. But does that also bring me a piece of quality of life? No. Even if I don’t want the latest technical novelties, the cheapest, cost-covering hearing aid is not enough for me. For the simple reason that a hearing loss is purely individual, and above all because severe hearing loss cannot be compensated with a cheap hearing aid. Point. I admit that I am very demanding in terms of quality of life. As for my hearing aids. Precisely because it is about quality of life! Unfortunately, not everyone can afford to pay the extra price. So in that case, you have the choice between being satisfied with less quality or maybe being stuck in debt. Although the Swiss invalidity insurance company IV (Invalide Versicherung) knows a hardship provision that should help out in the worse cases, this provision does not work in many cases (see a report from the Tagesanzeiger in 2014 http://www.tagesanzeiger.ch/wirtschaft/konjunktur/Die-IV-hat-kein-Gehoer-fuer-Haertefaelle/story/23384918). Many of those affected are unaware of this hardship provision or refrain from using it because it is very complicated and requires a great deal of perseverance. Nobody knows how many people are disadvantaged as a result of this. Surveys for this purpose are of course somewhat embarrassing and acousticians have absolutely no enthusiasm for this regulation. Even the honest and good acousticians also want to sell a high quality product and will prefer to promote the more expensive models. Enlightenment is therefore the keyword here. The hardship regulation should become more familiar and easier! A hearing aid is expensive enough, let alone the batteries, which are usually needed weekly, the drying capsules and cleaning agents. For the most severely hearing impaired, there are often additional aids for telephone, television or meetings. Here in Switzerland, you have to pay for them yourself if you are not employed, for example. Especially when you are not working, a hearing aid should not only be a piece of technology, but also a piece of quality of life, otherwise you are in risc of isolation! Next year it will be my turn again for a new hearing aid, but I thought it would be appropriate to talk about the topic here, because it is usually not mentioned. If you need a new hearing aid, be aware that there may be a hardship provision that may apply to you. Checking that doesn’t hurt. After all, it’s about your quality of life!